If it is WWDC for Apple, it’s I/O for Google. And, both have their own significance. The Giants reveal their strategy, planning, new Operating Systems, or anything that they want to bring it to the world in such conferences or meeting. And, top of all, it is official. 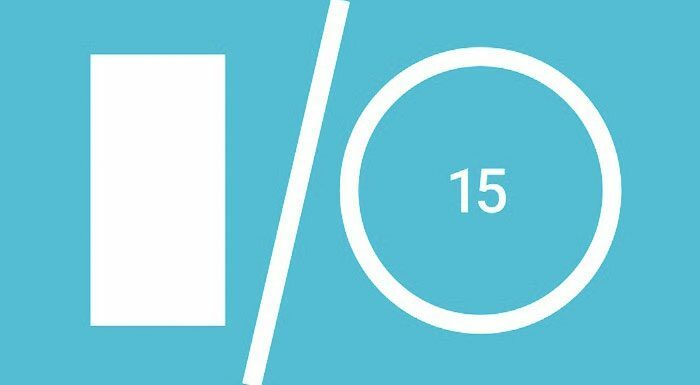 What’s new in Google I/O 2015? Nothing much for the users. If you are an Android phone user, you might not even ‘feel’ what your latest Android device will have as a ‘new thing’ that would change your experience. However, if you are an Android app developer, there’s something to tickle your fancy. Carrying on with its trend of sweet dish operating system nomenclature, Google is all set to upgrade its mobile operating system. From Jellybean to Kitkat and now from Kitkat to M! Yeah! It’s Android M (Muffin, Milkshake, Marshmallow? The giant only knows it). Android M –it’s for enterprises and businesses, FINALLY! True that! The giant with thousand zeroes now thinks of enterprises and businesses. The latest Android M operating system for mobile will focus on enterprises and will support fingerprint sensor. It’s also heard that some Google Now APIs are going to be public to third party apps in Android M.
Another update as we learn from authentic sources is its multi-window functioning. Is it following Apple’s new iOS 9? We aren’t sure. Along with this, two separate web chats on Rails could surprise us. In addition, new Chromecast hardware may get a new avatar to stay in the competitive market. Google is also planning to pair its wearable devices with Apple product. Android Wear might get easier with other devices. Brillo is supposed to be a codename for Google’s new Android-based IoT framework. The giant is also thinking seriously to come up with Google Pay like thing to promote and get into the bandwagon of wireless payment systems. We just heard, assumed or anticipated what might happen in Google I/O 2015. What ‘happens’, only time will tell. Very worth full information you have shared! keep sharing!